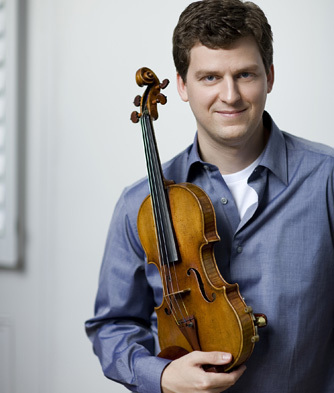 Canadian violinist James Ehnes is giving a joint recital with pianist Jamie Parker at the Glenn Gould Studio on Tuesday, May 18th at 7 pm. This is a fund-raising event for Jeunesses Musicales Ontario. On the program are works by Beethoven, Bach, Schumann and Brahms. Any chance to hear these two fine Canadian artists individually is not to be missed, and this recital represents the first time for them making music together. The Flying Dutchman, the first of three productions that makes up the COC spring season, closes this week after two more performances. I saw the show again last Friday, and it was another fine performance. This time, I was sitting in the center of rear orchestra. The sightline is fine there, but because of the overhang, the orchestral sound is a bit diminished and boxy, lacking the expansive impact one gets with a seat more out in the open. The voices, however, are fine there. The two remaining performances are on Monday May 17 and Thursday May 20, 7:30 pm at the Four Seasons Centre. Meanwhile, the two other productions are continuing, with Maria Stuarda on Saturday May 22 at 7:30pm. Tomorrow at the Richard Bradshaw Amphitheatre, Italian soprano Serena Farnocchia gives a recital of Italian arias and songs. It represents a rare chance to hear this excellent singer, and all for free! Be sure to show up 45 minutes early to ensure a seat. A special performance Mozart's Idomeneo is on Wednesday, May 19 at 7:30 pm at the FSC. It stars present and former COC Ensemble members. Tenor Michael Colvin, Arbace in the regular performances, will be Idomeneo. Erin Fisher sings Idamante and Simone Osborne is Ilia. Soprano Ileana Montalbetti with her steely, powerful top is the Elletra. The tickets are at a very affordable $50 and $20. Regular performances of Idomeneo this week are on May 18 and 21 at 7:30 pm. The Toronto Symphony Orchestra presents Last Night of the Proms under the baton of Bramwell Tovey. On the program are the perennial favorite, Elgar's Pomp and Circumstances and Arne's Rule Britannia. Other works include Parry's Jerusalem. Performances on Tuesday May 18, 8 pm at Roy Thomson Hall, with additional shows on the May 19 at 2 and 8 pm. On Saturday May 22 at 8 pm, the ever-popular violinist Itzhak Perlman returns to the TSO to play the beautiful Mendelssohn violin concerto in E minor. Other works featured in this all-Mendelssohn program is The Hebrides, Op. 26 and his Symphony No. 4, also known as the "Italian." Peter Oundjian conducts.